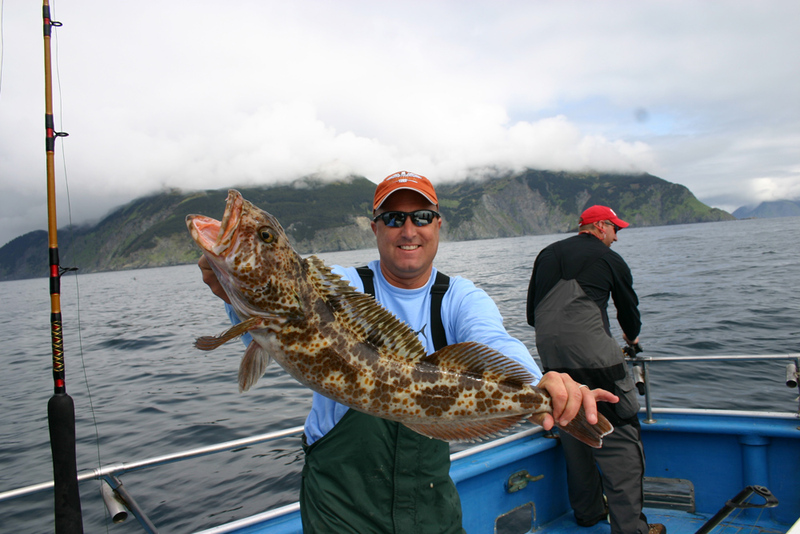 Our Alaska lingcod fishing charters take you into the pristine waters of Cook Inlet. 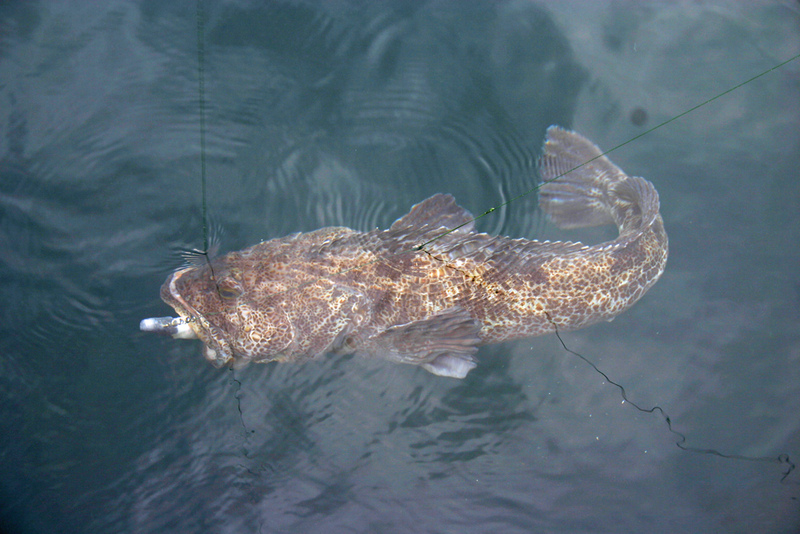 Lingcod are the ugliest bullies of the rocky shelves of the salt. They are an extremely aggressive fish, which makes for great fishing, because they will hit just about anything. They will strike your favorite lure and are even known to attack and hold on to little rockfish that you may have caught while fishing the ocean. Many prefer the taste of Lingcod to halibut. The season will start on July 1st and the limit is one per day per person. 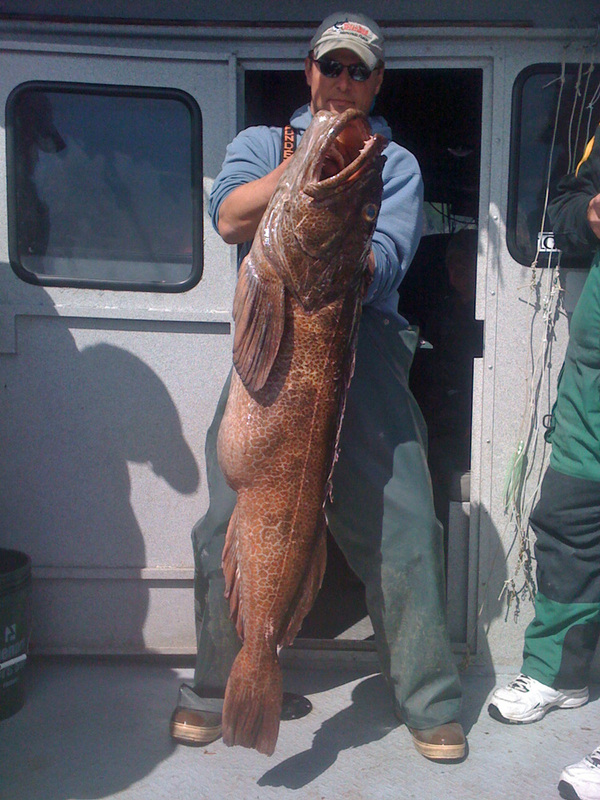 The Lingcod run around 25 to 35 pounds and some lucky guest will get a 55 or 60 pounder, and can even get as large as the state record of 82.9oz caught on July 27th of 2007. Lingcod eat almost anything, including other lingcod. 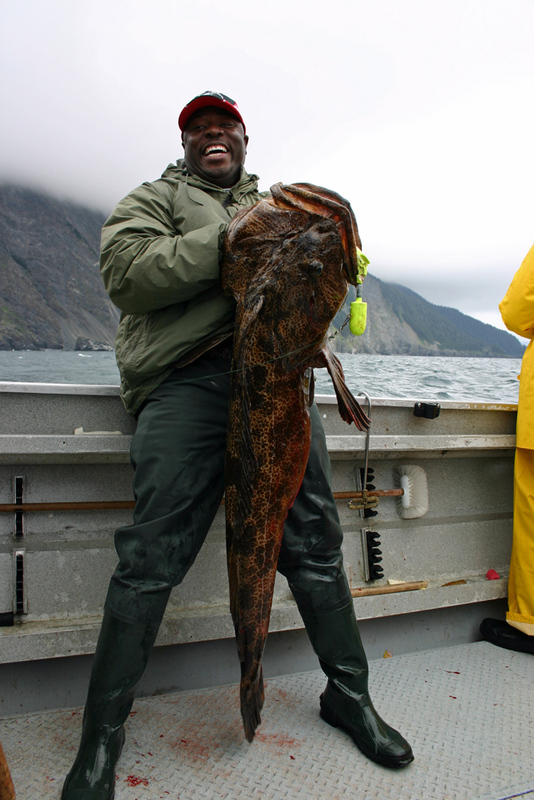 Bait used for fishing Alaska’s lingcod include large jigs with bait like squid and herring. These are very effective methods of catching Lingcod in Cook Inlet. 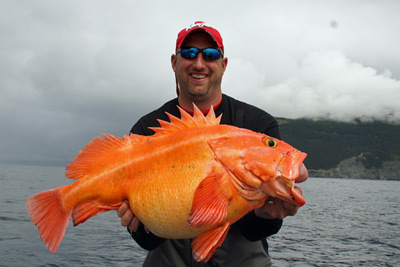 These aggressive fish can be caught by just jigging with no bait but this is only if you don’t catch a rockfish first. 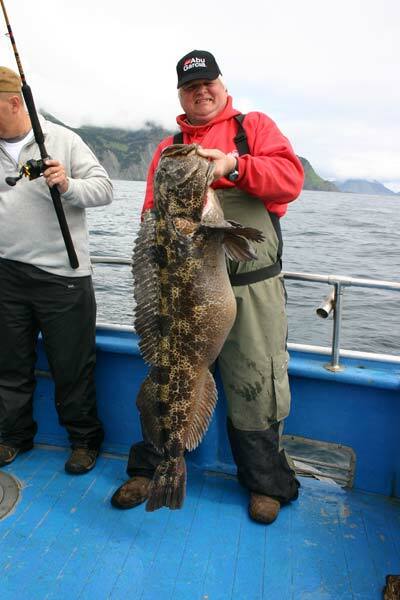 Lingcod actually lets change that to giant Lingcod so big that they are a trophy in themselves. In some of the same waters as we fish for saltwater salmon and halibut lives a hungry giant of the deep. 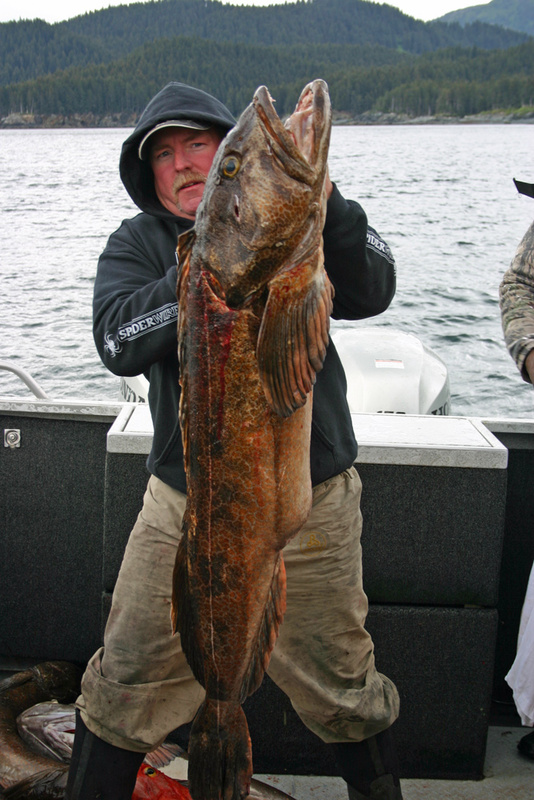 Lingcod may just be the most forgotten sport-fish living in Alaskan waters today. 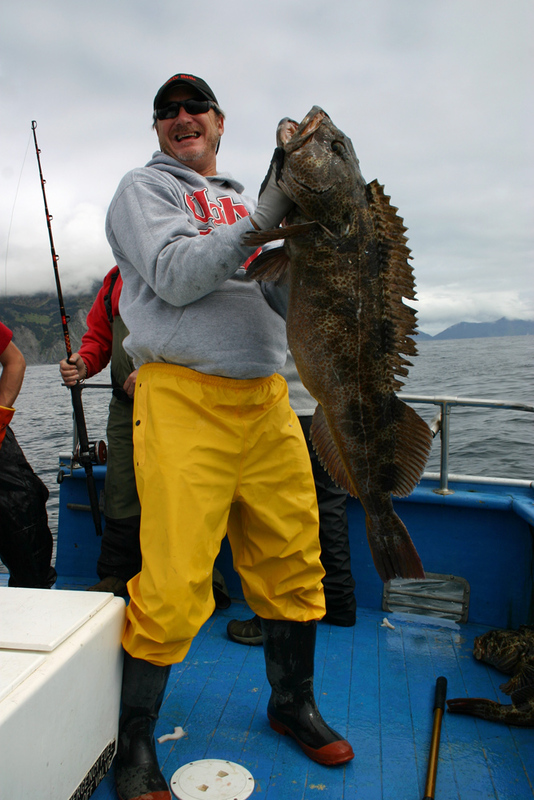 Book your Alaska Lingcod Fishing Charters with us today! These giant carnivorous behemoth lingcod actually lets change that to giant Lingcod so big that they are a trophy in themselves. In some of the same waters as we fish for saltwater salmon and halibut lives a hungry giant of the deep. 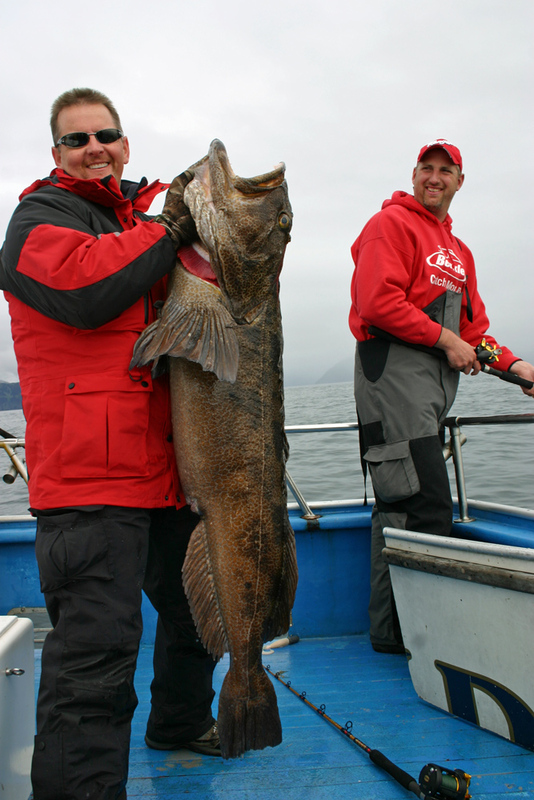 Lingcod may just be the most forgotten sport-fish living in Alaskan waters today. These giant carnivorous behemoths inhabit the depths of much of Alaska’s waters. Fishing for Lingcod is available upon request. 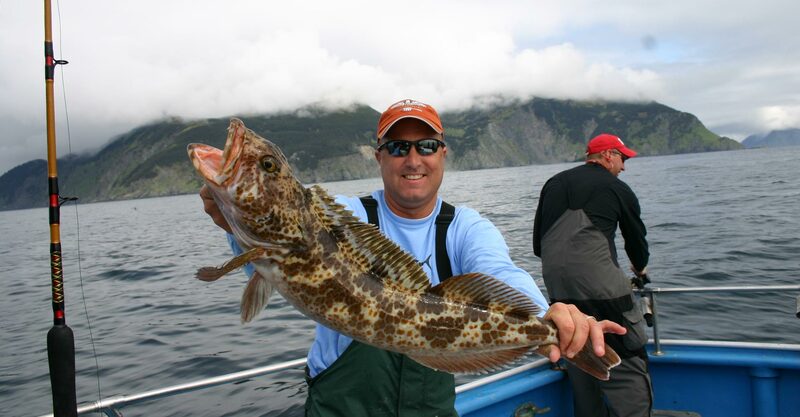 Alaska Lingcod Fishing with experienced captains that specialize in fishing for Alaskan lingcod and other rockfish including the yellow eye and black sea bass. Contrary to its name, the lingcod is not a cod, but rather a member of the greenling family. Lingcod are native only to North Pacific waters off the west coast of North America. On our multi–species trips out of Seward and our long range trip out of Homer we tend to get several different types of rockfish during the season. 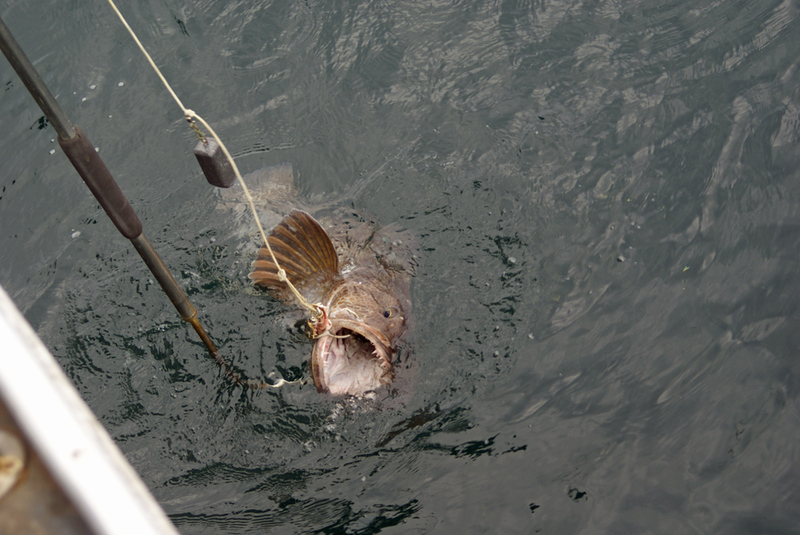 While fishing on our combo trips our of Seward not everyone will take a legal 35’’ lingcod due to stock – depletion. If your dream is to get monster of the deep then you will want to fish right after it opens on July 1st also you will want to book your 6 pack boat early. These Rockfish are found close to rocky structures not to deep of waters. The Pelagic Rock fish have a pretty good chance of surviving. Most will be the black sea bass, yellowtail and the dusky rockfish. Yellow eye is classified as a non pelagic rock fish. Just like the lingcod the state of Alaska has seen a decline in the Yellow Eye. One reason is because yellow eye are located in small parts of the oceans of Alaska some will stay one area or rock pile their whole life. The largest on record was aged at 121 years old. Yellow eye grow slow and mature even slower males around 18 years and females around 22 years. The state of Alaska record for the Yellow Eye is 39 lb 4oz on July 18th in 2000. Often times we get chances to catch multiple species like the Yellow Eye while on our Alaska lingcod fishing charters. 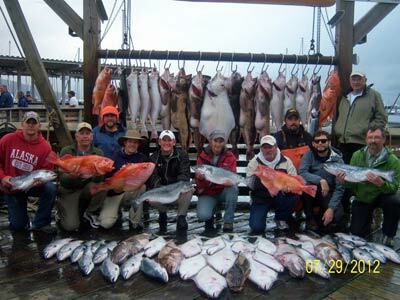 Call us today to line up your Alaska fishing and lodging package adventure. Non-pelagic Rockfish are normally found around deeper waters struckshers , and because they are found in deeper waters most will not survive catch and release because while being pulled up it effects their swim bladder. The one most commonly caught are quillback, copper rockfish and the one that most guest think are red snappers is our yellow eye. 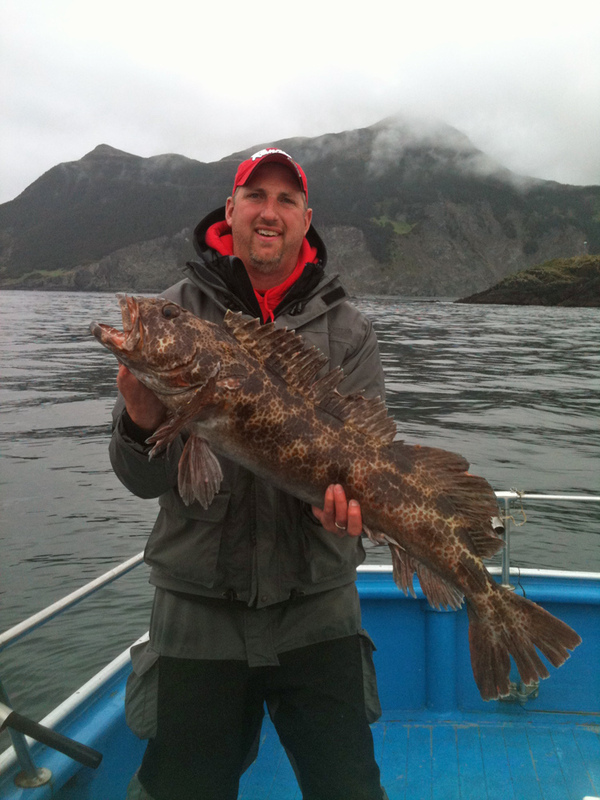 Call today and lets talk Alaska lingcod fishing!